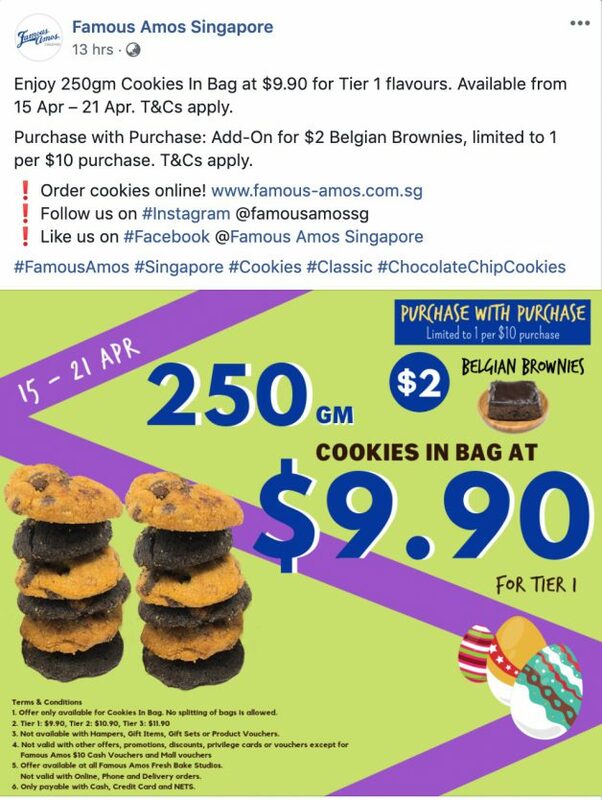 Your cookies treat at Famous Amos just got a little more affordable this April. 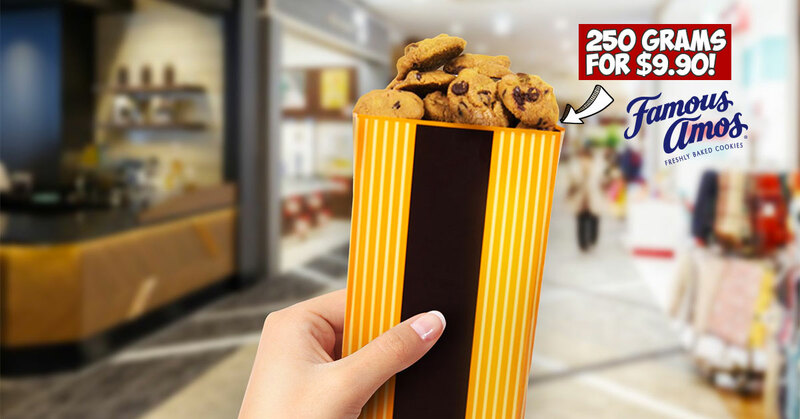 From now till Sunday, 21 April, simply drop by any Famous Amos outlets and get to enjoy 250 grams of cookies (tier 1 flavours) for only $9.90. 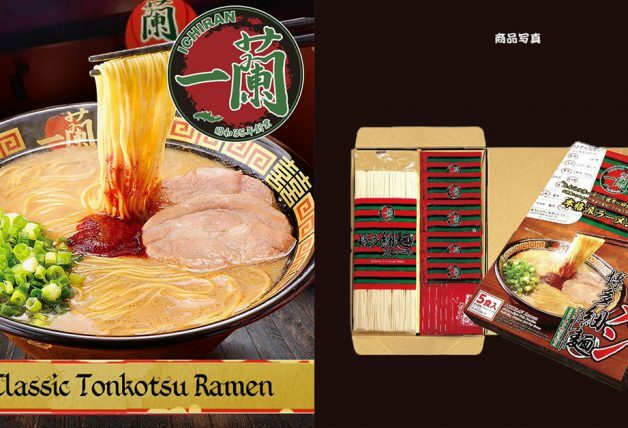 They usually cost more than $10 for a lesser 200 grams. 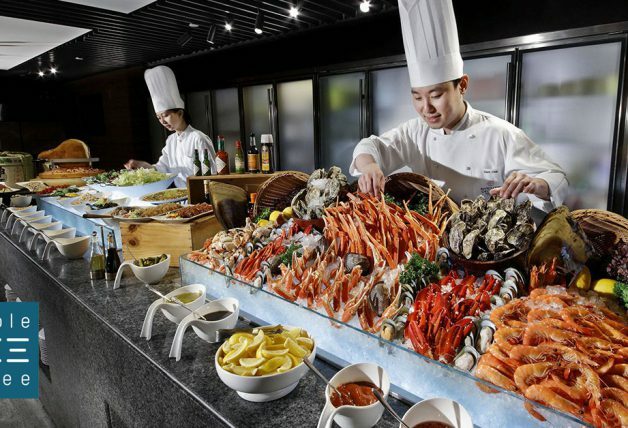 Why so good? Probably because Easter’s is coming. 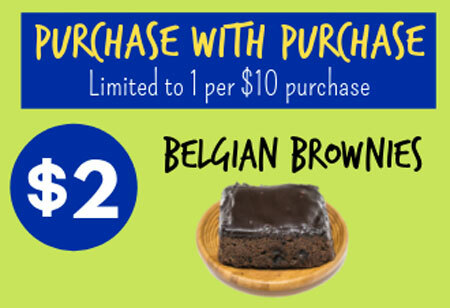 What’s more, customers can also purchase Belgian Brownies for only $2 with every $10 purchase. 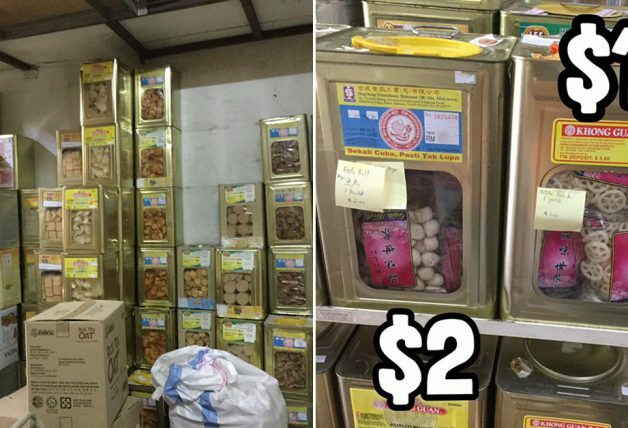 You can find a list of Famous Amos store locations here. 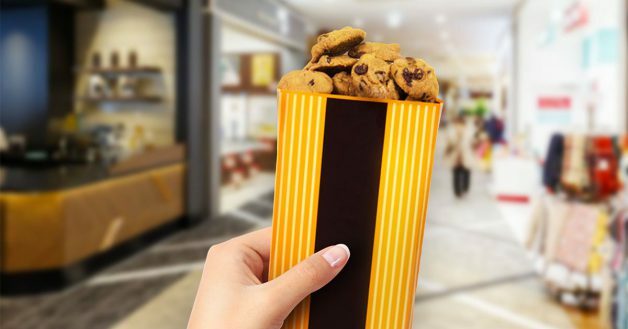 Offer only available for Cookies in a Bag. No splitting of bags is allowed. 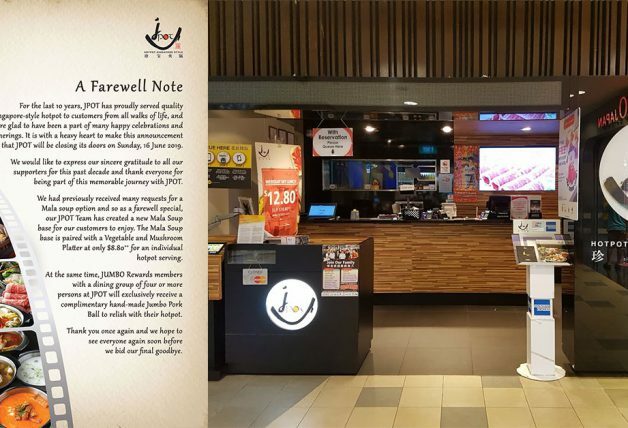 Not valid with other offers, promotions, discounts, privilege cards or vouchers except for Famous Amos $10 cash vouchers and mall vouchers. 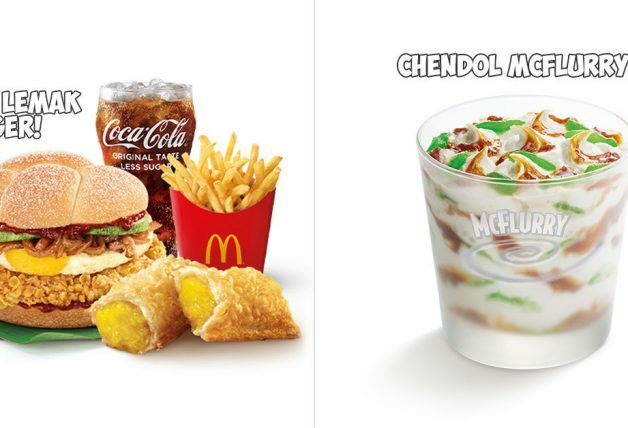 Offer available at all Famous Amos Fresh Bake Studios. Not valid with online, phone and delivery orders.